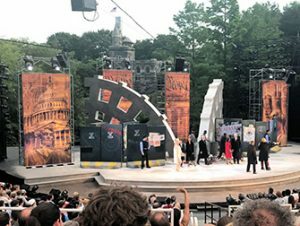 Shakespeare in the Park in New York is a set of Shakespeare plays performed in Central Park every summer. Going to see these plays is a summer tradition loved by many New Yorkers. The aim is to make theatre accessible and enjoyable for everyone. You sit in an outside theatre in the beautiful Central Park. It’s usually still light when the play starts and it slowly gets darker as the evening proceeds. It’s truly a nice experience. There are two plays. The first is Much Ado About Nothing from the 21st May until the 23rd June 2019. The second play is Coriolanus which will start on the 16th July and show until the 11th August 2019. What makes the plays even more exciting is that there is often a celebrity actor in the cast. Previous years have seen Meryl Streep, Denzel Washington and Anne Hathaway in starring roles. Tickets for Shakespeare in the Park are for free but unfortunately there are never enough and the only way to get free tickets, is to stand in line in the park. This will take hours. Luckily you can now also buy tickets, which guarantees you a reserved seat. I admit, the tickets are not cheap but I think this is a nice experience for the summer in New York. 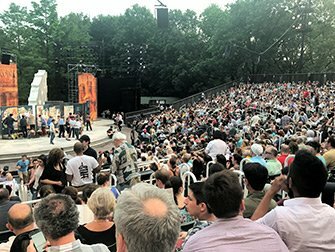 When you choose to buy tickets for Shakespeare in the Park, you also help support the event. 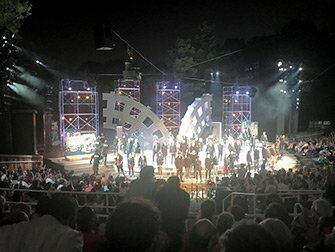 Eric’s Tip: Don’t expect any classical portrayals at Shakespeare in the Park, instead, you’ll see Shakespeare with a modern twist. These evenings conjure a very special atmosphere: you enjoy the sunset in the fresh air, with the cricket-sounds in the background. Plus, when you purchase a ticket for a performance, your contribution is used to ensure that this unique event can continue to occur.